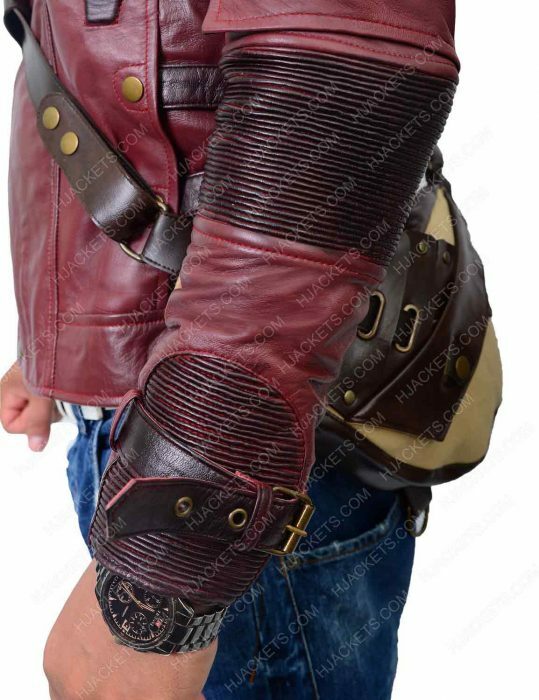 Fashion like your favorite character with one of the extreme graphic films Guardians of the Galaxy. 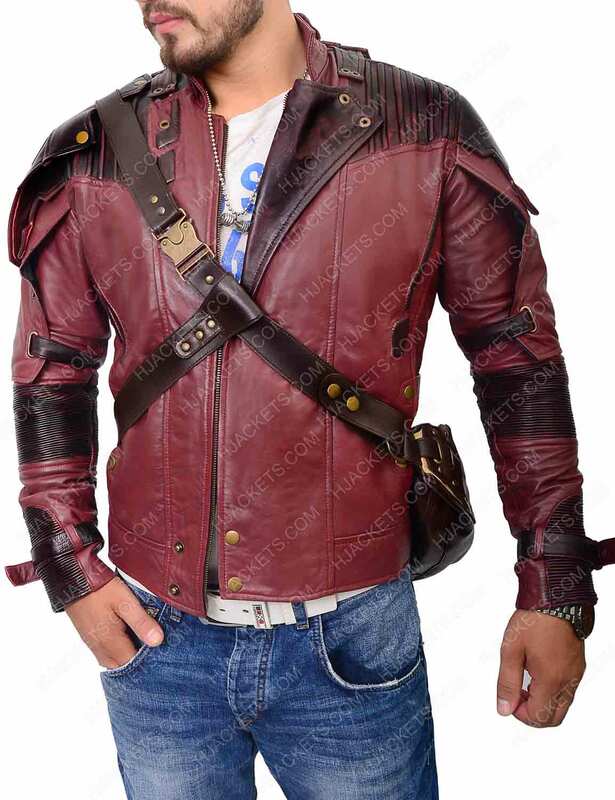 In this glorified attraction Peter Quill has worn this striking outfit as Star Lord Jacket. 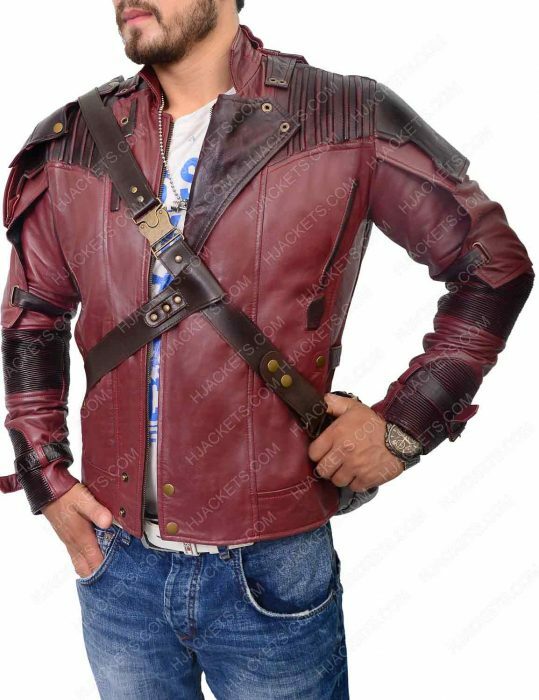 Chris Pratt his persona with an amazing outerwear. 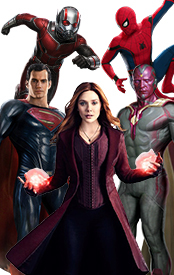 Version of the attire as Chris Pratt contributes sequel in the new movie by stressing his role. With this similar shade as the previous one. To copy such embarkation you have got to have the guts. To fight within and rejoice the typical transformation of the character yourself. This attire gives an eye-catching apparel with maroon color. 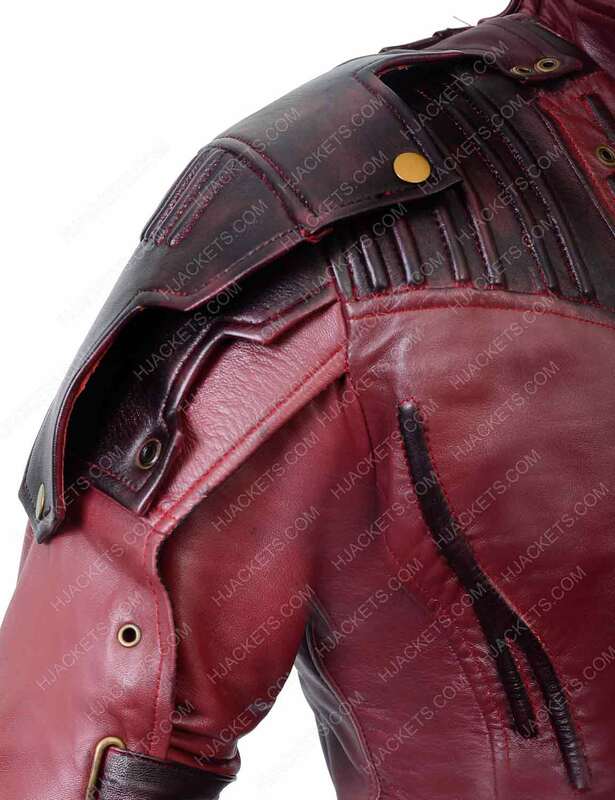 Produced with quality genuine leather / faux leather and inner viscose lining. 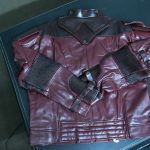 Star Lord 2 Jacket underwrites one of the surprising features, which gives highly appealing submission to its peers with netted design on shoulders. 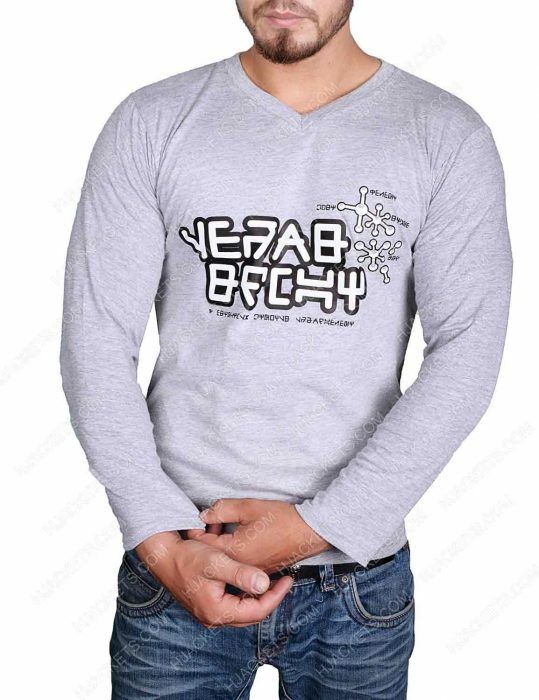 What an intriguing design with Epaulet on right shoulder that out-shines your personality in the public. The stupefying arm patch on both the sides is way better than any other pattern which has to be the best and key feature of the Guardians of the Galaxy 2 Jacket. 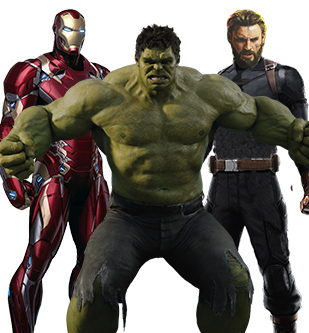 Peter Quill chase after his betrayers who had stolen the sacred object since he is in command after his father in protection of the galaxy. 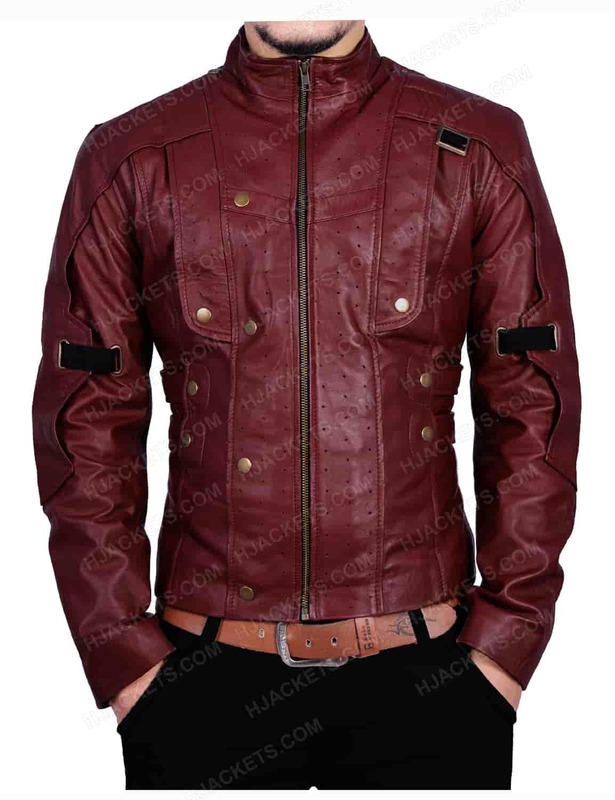 His outfit also comprised of stand collar style in the best standard of this genuine quality and signified Jacket. Arm patches on either side are right next best feature after padded detail in suitable formation. 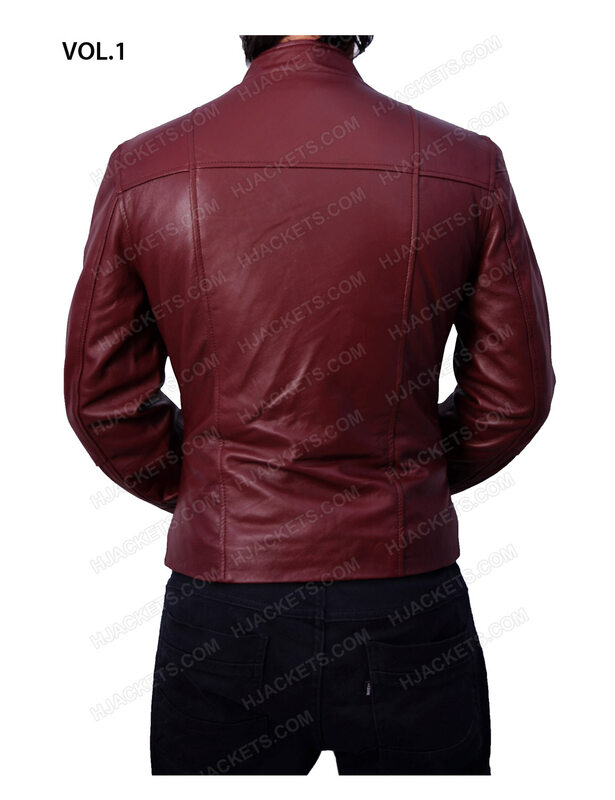 While what also has been covered he premium stitched completes the overall appearance of this special jacket. 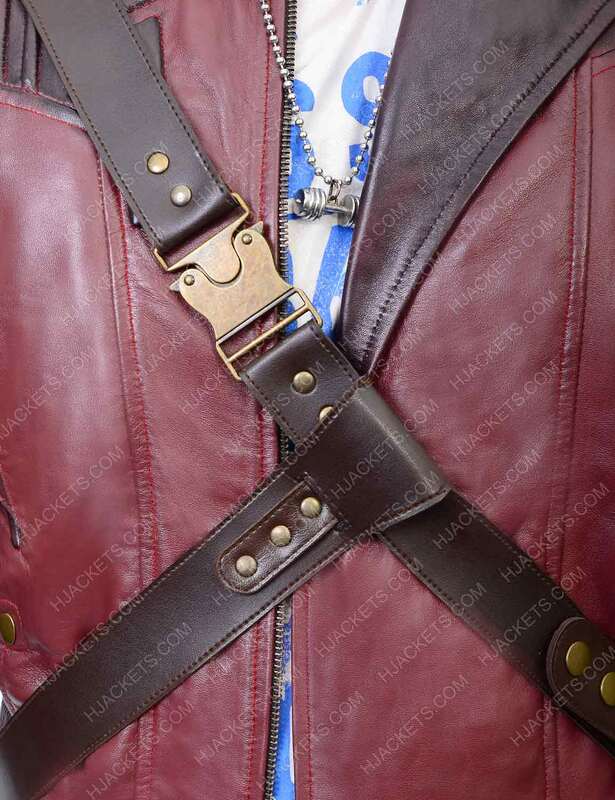 Star-Lord Volume 2 Jacket After a long time, I finally decided to put this down. 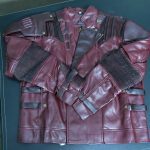 I had the jacket of Star-Lord delivered to me on September 21, 2018. It arrived in a well packed bag, with the jacket folded very neatly and looked to be very elegantly wrapped too. The jacket wasn't smelling so bad but it did have the natural stink. And ,oh! I chose the one with the bag and the free t-shirt. The pictures you see below are after more than a couple of wears and maintenance. With that said, the fitting was ideal in all the right areas, and it maintained its color and quality. 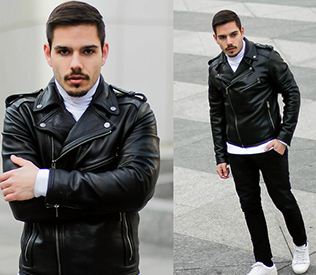 I was very happy after seeing that there is no change in my leather jacket because I took good care of it, even getting little clumsy here and there. It was an amazing time wearing this jacket and I had a very smooth experience from the time of placing the order to the shipping details. 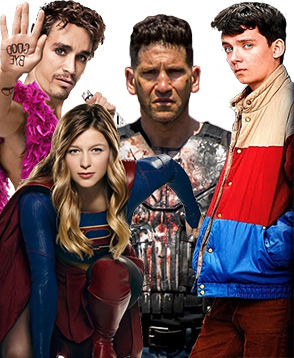 Hollywood Jackets has surely impressed me with its first order. The day I wore the jacket, I wore the shirt too. I was comfortable in both and this is why I have decided to review this product. Both items still feel and look the same. Impressive Vol 2 Jacket I am very impressed with the Vol 2 design. 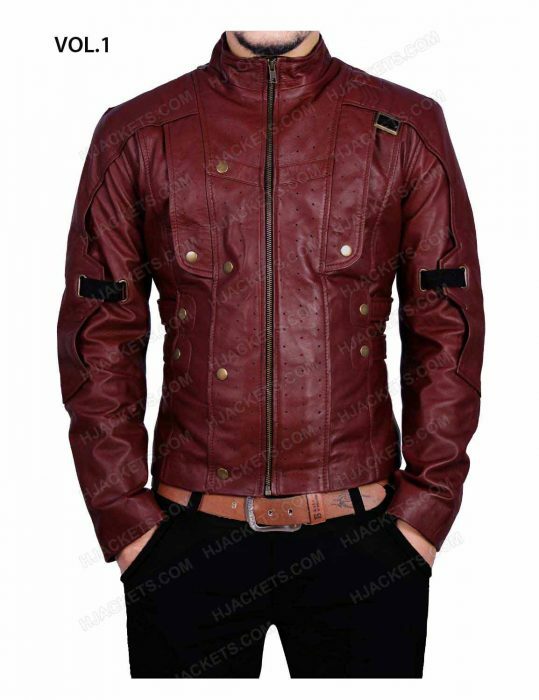 It is a very beautiful and comfortable jacket. 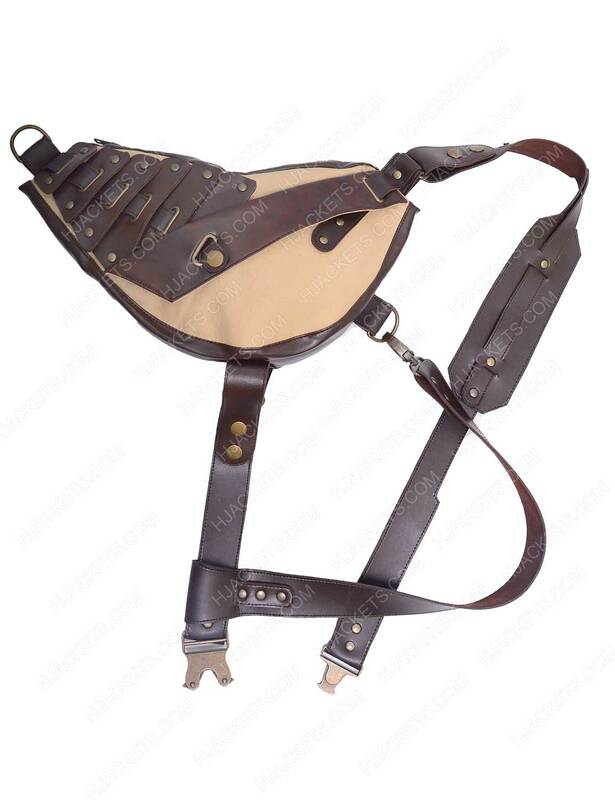 It has been great for cosplay and everyday wear. Awesome value! the customer service communication was fantastic. No comparison but I love the first vol jacket. No comparison but I love the first vol jacket. 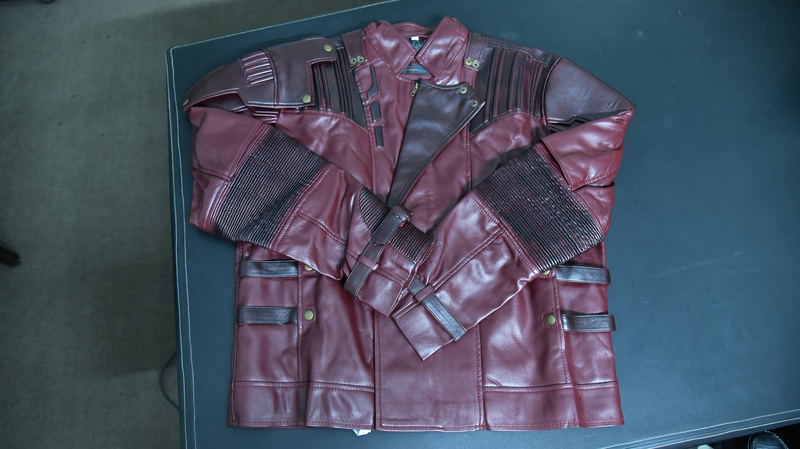 The jacket from volume 2 is not bad at all, but I I like the jacket from the first film. 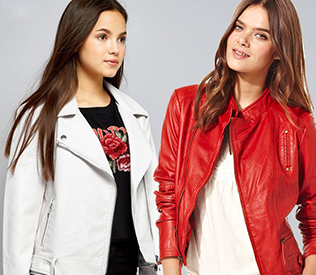 I have both of these in best quality.. in fact it more surprising to see the the most accurate jacket to wear. 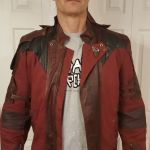 Very glad to have perfectly fitted outfits from The Guardians movies..
Love the overall look and quality of the jacket. STAR LORD is the Space Man Trending! STAR LORD is the Space Man Trending! Oh my Gosh! 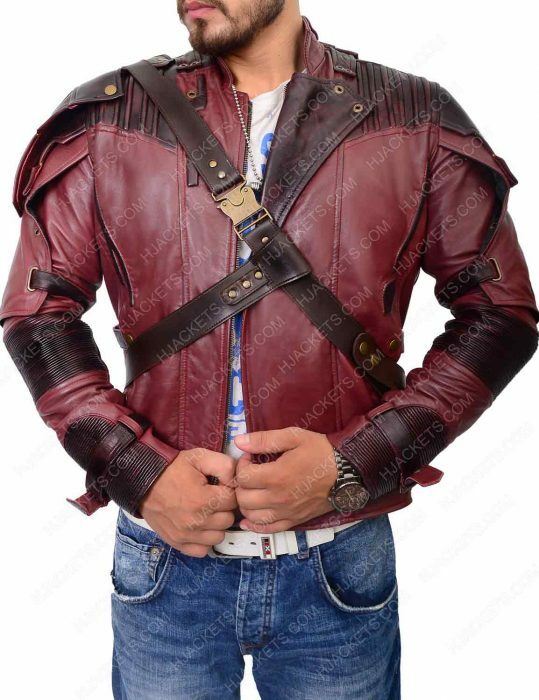 Star lord has literally the best wardrobe appeals if you ask me… always hanging up personality harmonies in my closets and I dearly adore the sci fi wears. 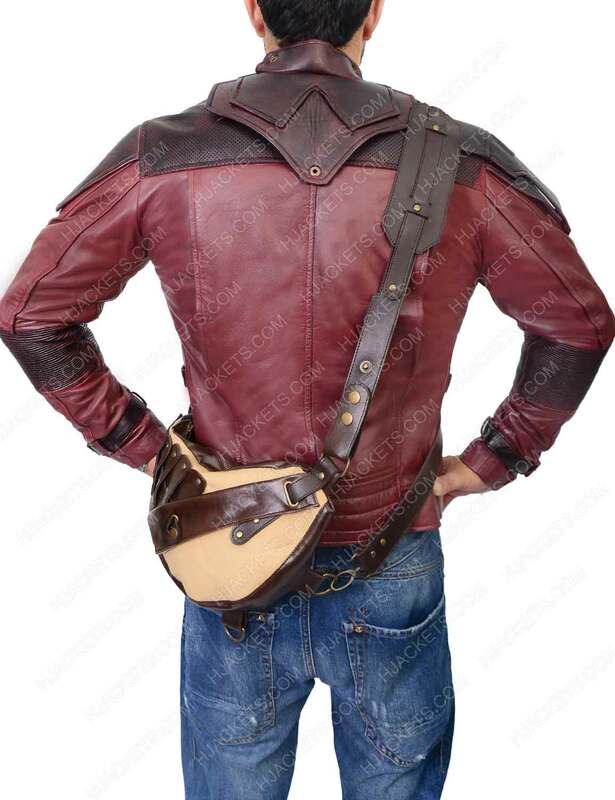 Just came up here due to its sheer matching quality with the original peter quill outfit. 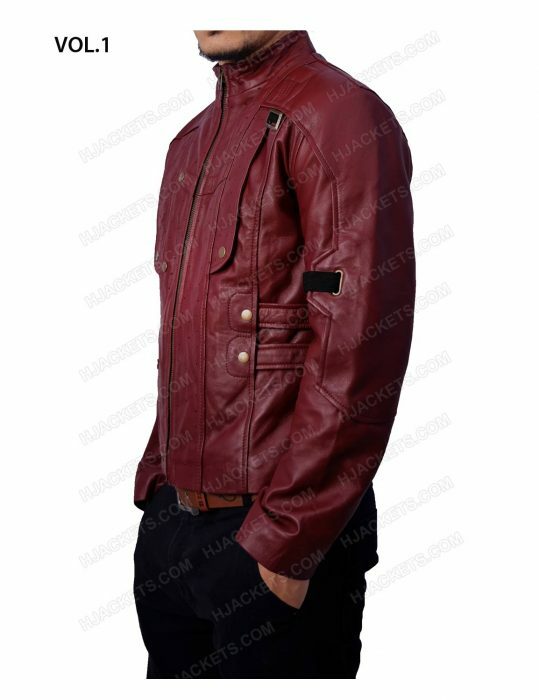 All I have to say this that this jacket is a rough and tough by the looks and feel so much long-lasting by its tough. 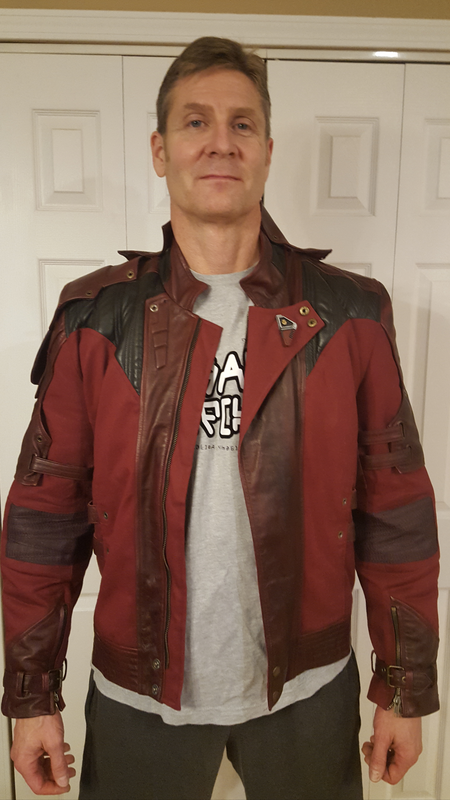 SOME CREDIT goes to my pops who really pushed into getting the real leather garment of this one… felt short of money… but then I realized “What are the sweet daddies for”… can’t keep up on me being sad… that’s the best part of dad “Love you pop”… So this jacket is superbly finished and sewed as to my experience. 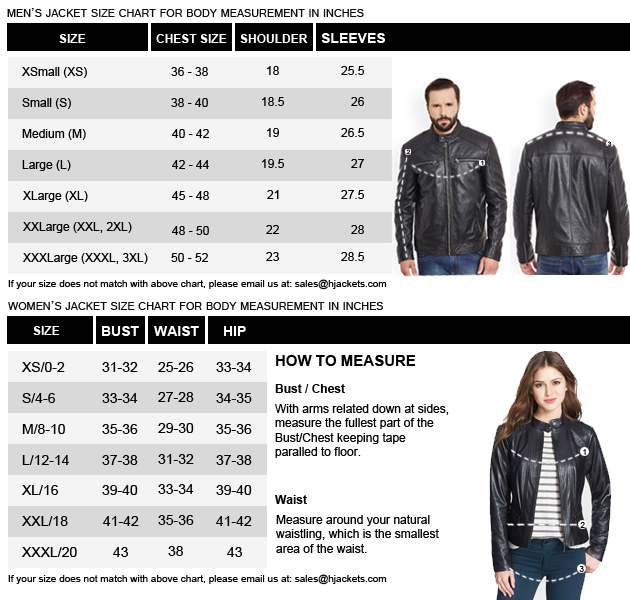 The fittings were precise according to measures….and my daddy had few email exchanges with customer service… WOW amazin… it came.. I opened up my parcel box.. put it up and never felt that it was a new outfit for me because the fits were just like my nighty suit…. So much comfortable from the inside. The features were exactly how they were mentioned on the website. Thank you so much hjackets for sending me this memorable merchandise. Feel so happy… cheers mate! 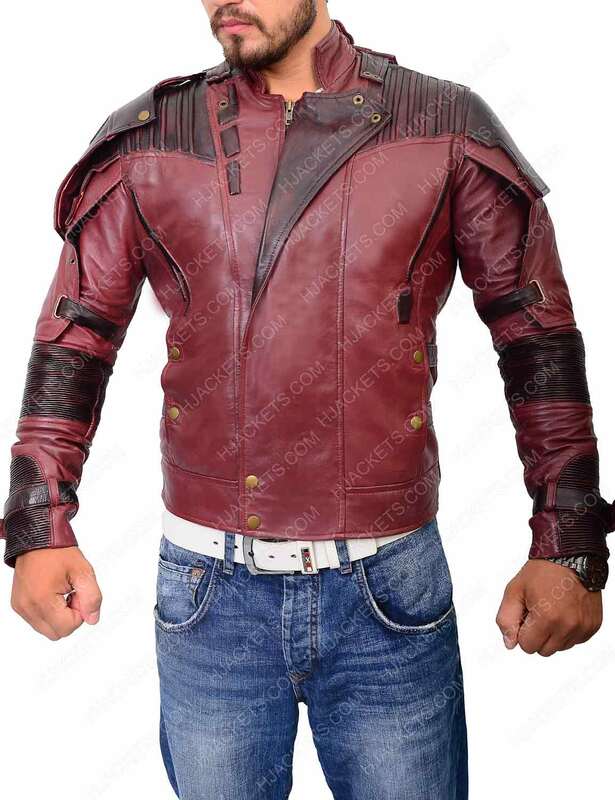 Jacket 2 is way better The second jacket of star lord is more better in my opinion. 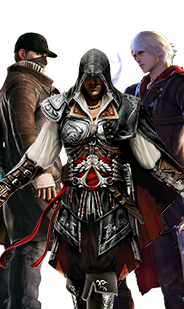 All the parts of this outfit are good. It fits perfectly on my body. 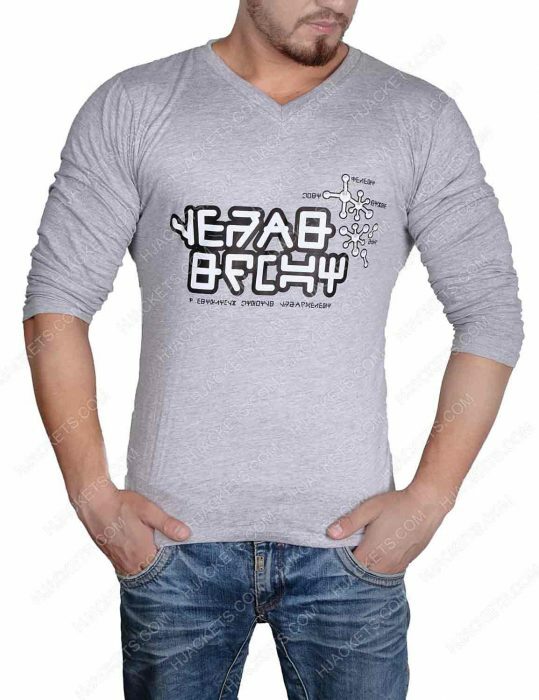 Even the sleeves are a good fit as I wanted. I could not be more happier than this. 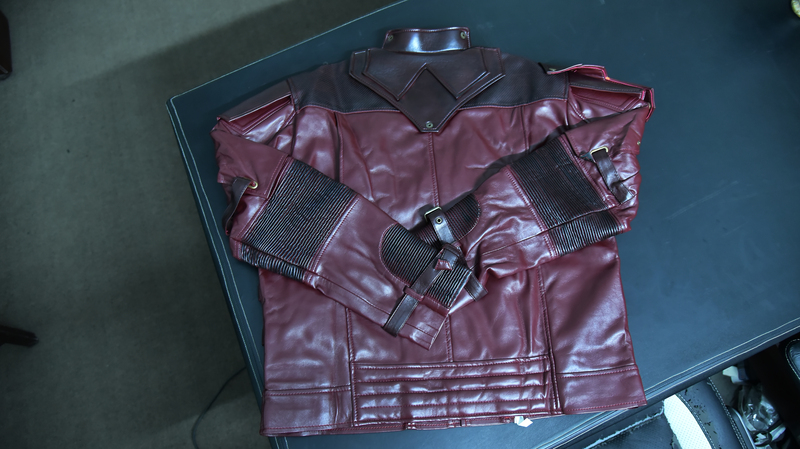 The famed attire of chris pratt is in my hands now, and I am very excited about it. 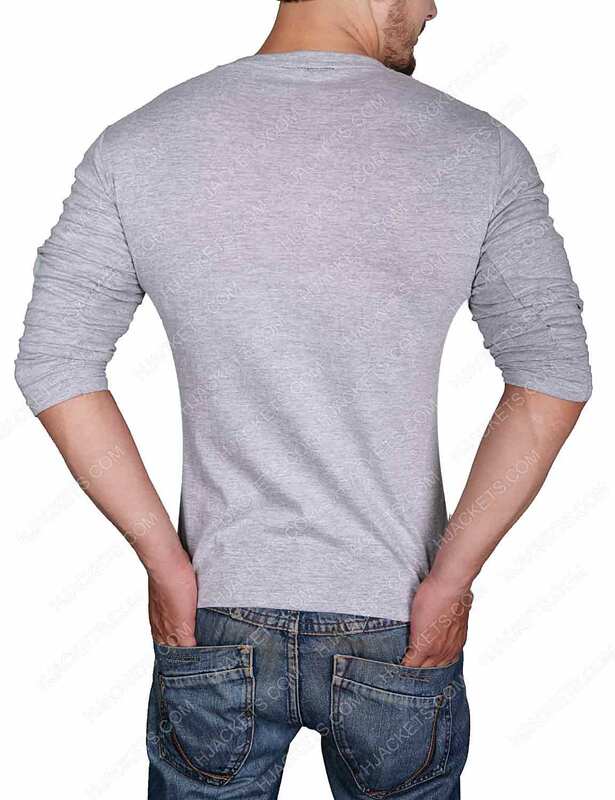 I am 5 ' 9 and I weigh over 70kg and I have wide shoulders but its no bother since my shoulders are fitting in a very good manner.